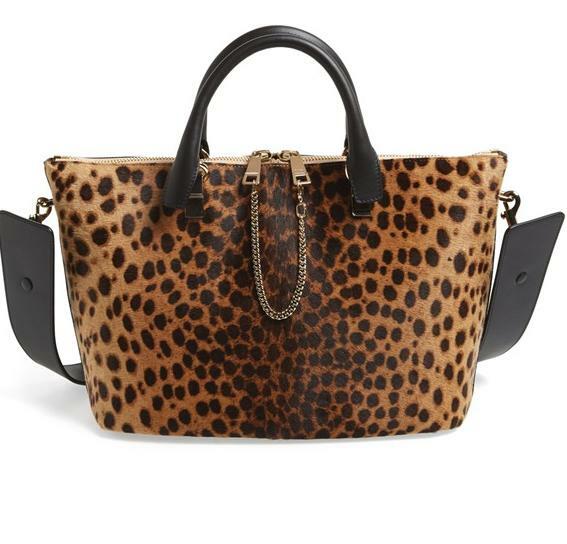 Eye-catching Leopard patterning accentuates the chic, practical silhouette of a perfect day bag finished with polished goldtone zips linked by an iconic Chloé chain bracelet. Genuine calf hair/leather in Animal Print. By Chloé; made in Italy.